Mary Magdalene came from the New Testament town of Magdala, an important fishing community on the northwestern shore of the Sea of Galilee. 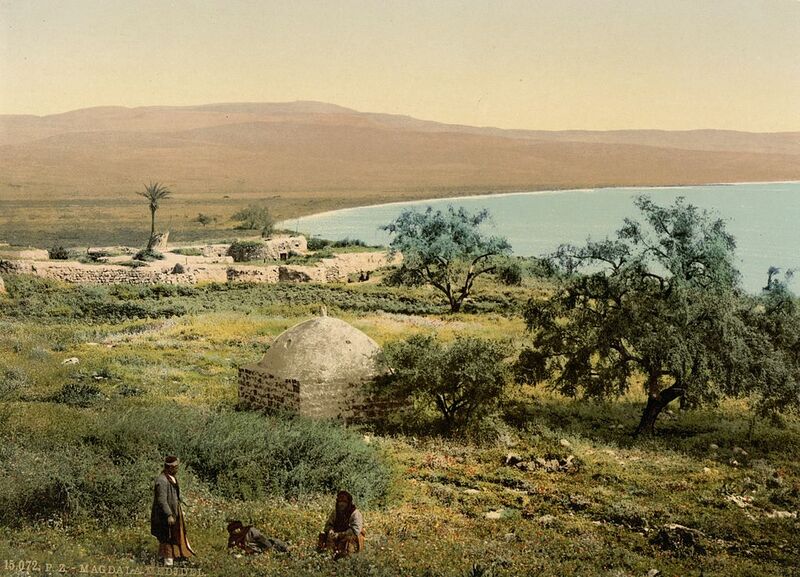 The site is situated 4 miles north of Tiberias and 7 miles south of Capernaum. 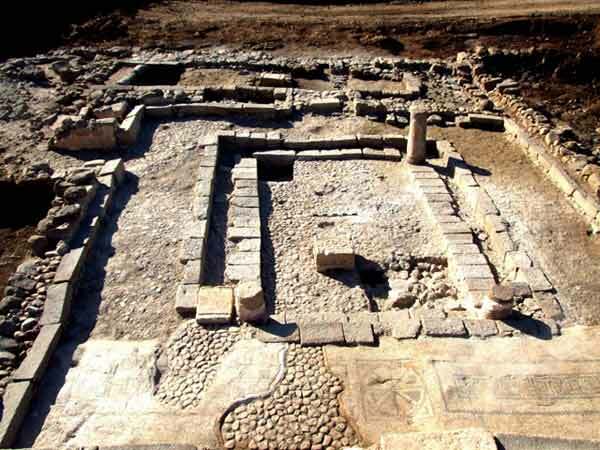 Excavations and surveys of the site have shown that the town was founded in the late Hellenistic period in the late 2nd to early 1st centuries B.C.E. (Leibner 2009 Page 184). Archaeological excavations at the site exposed the best-preserved 1st century C.E. Roman town-center in Eastern Galilee (1) (2). Insert: [Uzi] Leibner noted that the [archaeological] evidence “pointed to the establishment of this settlement only during the Hasmonean period towards the end of the 2nd to the start of the 1st century BC” (4 and originally 5 Leibner (2009) Page 184). 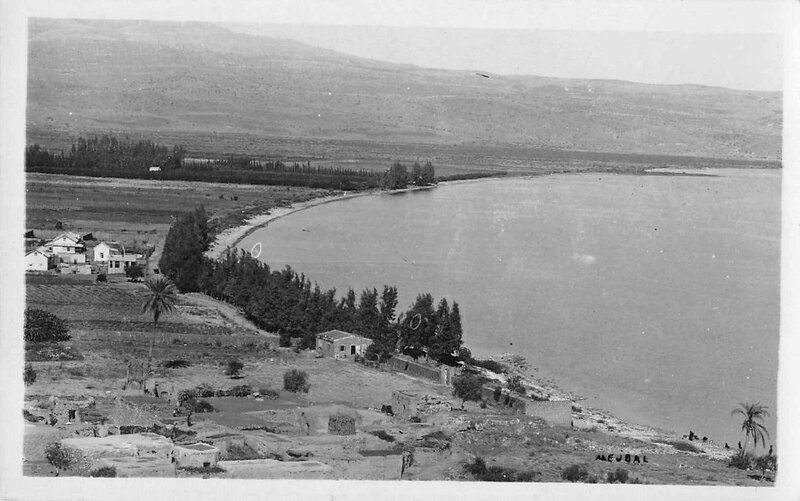 The excavations at Migdal located next to the main road along the shore of the lake revealed that this settlement was urban-Roman in character and it appears that it took the place of Gennesar as the most important settlement in the region until the establishment and strengthening of Tiberias (Page 184 in 5). 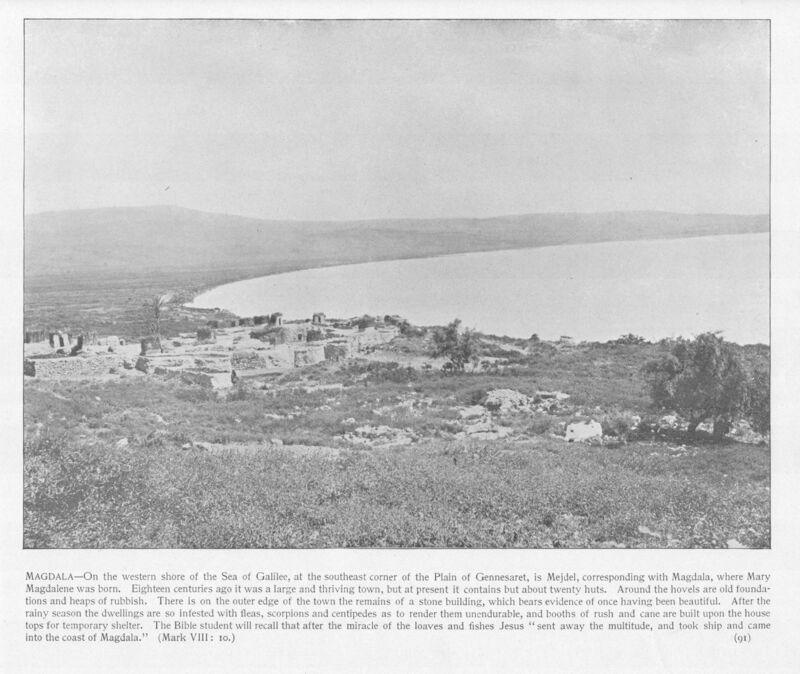 Already in the first century BCE Magdala-Taricheae was the largest settlement on the western shore of lake [Galilee] (Josephus in Wars of the Jews PDF). The city is well attested. Josephus alone mentions it forty-seven times by its Greek name Taricheae (4). The place name Taricheae -- a toponym attested only in the Greek and Latin sources -- refers to a city of remarkable importance that must have already been well established in the ﬁrst century as its foundation surely dates back at the latest to the ﬁnal decades of the second century when Hasmonean power expanded into Galilee (Page 281 3). Most significant are the late 1st century C.E. accounts of Josephus Flavius who portrays it as a city of 40,000 (certainly an exaggeration as 4000 would be a more realistic figure) with a Hippodrome and the significant role this Jewish settlement played during the first Jewish Revolt in the Galilee [region] in 67 C.E. Josephus (The Jewish War 2.21; 3.9-10) describes in great detail the harsh naval battle that took place between the zealot Jewish militia and the Roman army commanded by Titus [both onshore and] offshore of Tarichaea (2) (6).